From timeless and elegant, to light and summery, to breathtakingly extravagant, loafers and ballet pumps are the graceful, low-rise counterparts to classic court shoes. These comfortable slip-on shoes were beloved by mid-century Hollywood icons such as Audrey Hepburn and Grace Kelly, and remain two of the most popular types of women’s shoes today. Our collection of handcrafted loafers and ballet pumps is distinguished by classic designs, premium European leathers, and lovingly detailed production in our Spanish and Italian factories. As traditional slip-on shoes, ballet pumps and loafers are descendants of the moccasin. That being said, these two types of footwear were developed much more recently than the original Native American shoe. Loafers got their start among American college students at the beginning of the 20th century. Those budding academics loved the liberating comfort of the penny loafer. They made a habit of tucking a lucky penny into the instep of their loafers before taking important exams, thereby giving the shoe its name. Another, equally popular model is the tassel loafer, known for its pair of tassels resting on the U-shaped vamp insert. Tassel and penny loafers feature a separate insole and outsole, as well as a heel, which makes them much more suitable for everyday wear than classic moccasins. Meanwhile, ballet pumps hearken back to the classic ballet shoes worn by dancers. In fact, they were designed at the end of the 19th century to serve as a stylish alternative to ballet shoes. Nevertheless, ballet pumps did not attain peak popularity until the mid 20th-cenutry, when no less than Audrey stepped out in these delicate slip-on shoes. Ballet pumps are defined by their continuous shaft, wide opening at the height of the instep, and a flat heel. When it comes to modern ballet pumps, there are no limits in terms of material, colour, or decoration. Most of the Goodyear-welted loafers in our collection of classic women’s shoes are penny loafers. We offer models made from both smooth and rough leather, as well as models with a heel. Because they have been made using the supreme shoe production method, these Goodyear-welted women’s loafers are extremely breathable, flexible, long-lasting, and comfortable, even when worn for long periods of time. Fans of lively designs will love the women’s loafers and ballet pumps in our “Italian Line”. In keeping with tradition, these lightweight, Blake-stitched loafers have been made in Tuscany, just like our boat shoes and moccasins. 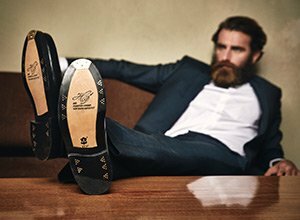 Master Italian shoemakers create our covetable, lightweight shoes using premium leathers, maintaining a loving attention to detail throughout the process. Finally, in addition to women’s loafers and ballet pumps with traditional leather soles, out comprehensive collection also includes models fitted with non-slip rubber soles. From classically Goodyear-welted to Blake-stitched models, our collection of premium loafers and ballet pumps is guaranteed to keep you stylish all year long.